The universal principle of operation of the TWINNUT can be applied to virtually all types and sizes of nuts apply . 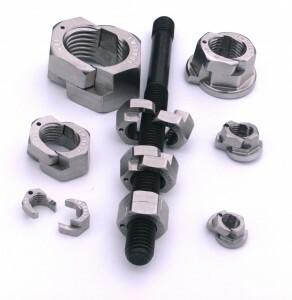 By default, the TWINNUT is offered with the outer shape similar to a DIN934 ( TN934H ) or a similar DIN6331 ( TN6331L ) mother with ISO standard thread . Specifically for high-strength connections imaginary TN6331L mother has the key width of classical Typ934H mother , a collar and a greater height. In addition, the TWINNUT without covenant is with Typ934H key width and height m = 1.0 * d available .